The shorebird migration has begun here in Western Wyoming. 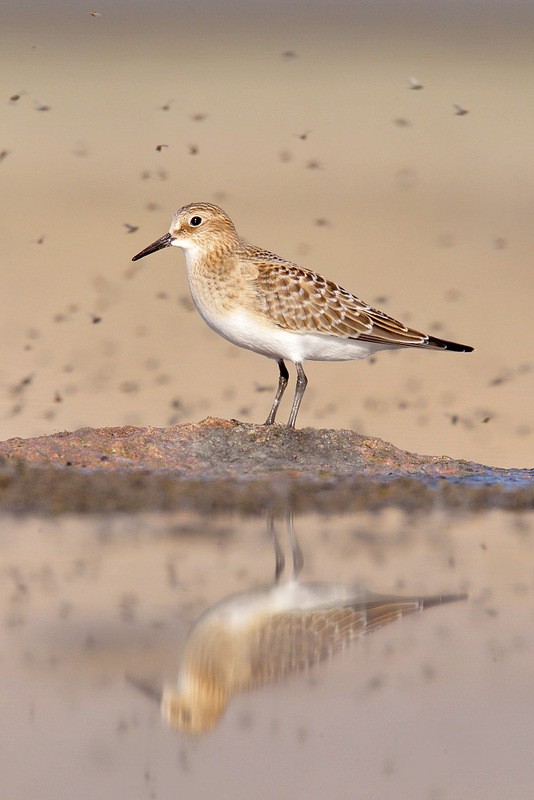 There is an alkali lake not far from home that hosts good numbers of shorebirds during Aug/Sept that feed on the huge numbers of insects there I usually can find 7-8 or more species at this location. I didn’t have great variety this morning (just photographed 3 species) but had a great time anyway crawling around in the mud with my trusty 800mm on a ground pod. I’ll show the images with little or no cropping. On some of these images just needed to straighten the horizons. Baird’s and Least sandpipers along with some lesser yellowlegs were the most common shorebirds seen on this morning. 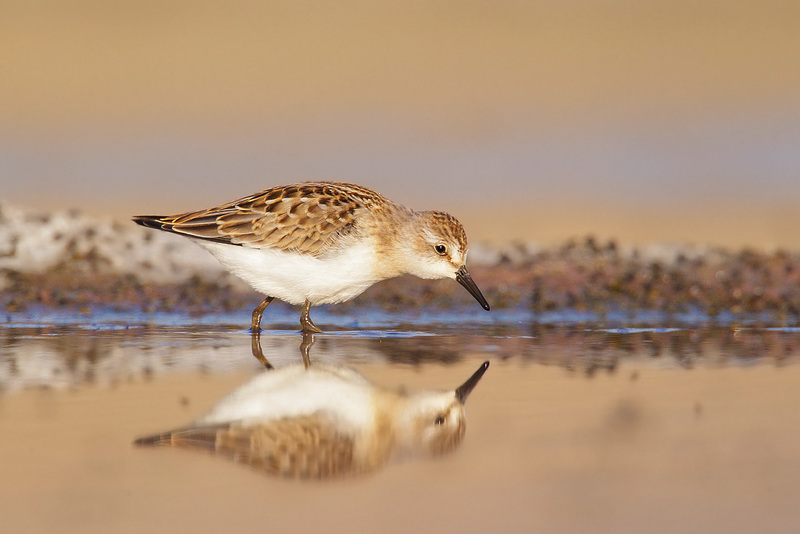 When doing this kind of shorebird photography I like to be as low as possible. I just love the out of focus foreground and background you achieve. To do this I mount my camera and lens on a ground plate which is a small aluminum plate with its edges curved up so it will slide across the mud and sand without getting stuck. I mount my ballhead on the plate and then the lens and camera. I wear a pair of lightweight chest waders, some old wading shoes and a hooded camouflage sweatshirt I don’t mind getting muddy. I get out on the mud and then just lie down and start sliding towards the water’s edge to get into position. It usually only takes the birds a few minutes to get used to you and seem to pay little attention as long as you move slowly. I used my Canon Eos 1d mkIV, Canon EF800mm F5.6L and my 1.4x teleconverter for most of these images. The baird’s and least sandpipers are very small and you need all the focal length you have. The yellowlegs are a bit larger and I really didn’t need the 1.4X for them. I arrived just before sunrise and photographed for an hour and a half taking advantage of the nice warm morning light. The shorebirds seem to congregate at this alkali lake (and others) because of huge numbers of flies (I don’t know the species) that they can feed on and build up fat reserves for their upcoming migration. The biomass attributed to these files would be amazing. 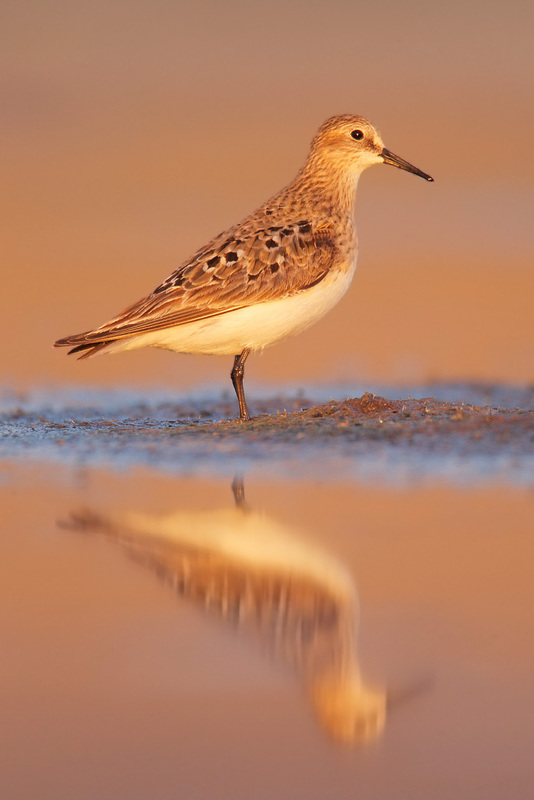 I think the migration is just getting started and in the next few weeks larger numbers and more species of shorebirds will certainly arrive. I’ll try to get out and photography them a number of times over the next month. Sounds like one of the prices you pay to get these great photos is getting good and muddy. I figure the mud washes off easily and is a small price to pay for some quality images…. Beautiful shots with lovely lighting. I don’t think of Wyoming as a photo hot spot for shore birds so was pleasantly surprised. Nice job on the photos. Thanks Danielle… Wyoming is not a shorebird hotspot but in the right habitat it can be quite good here especially during migration! 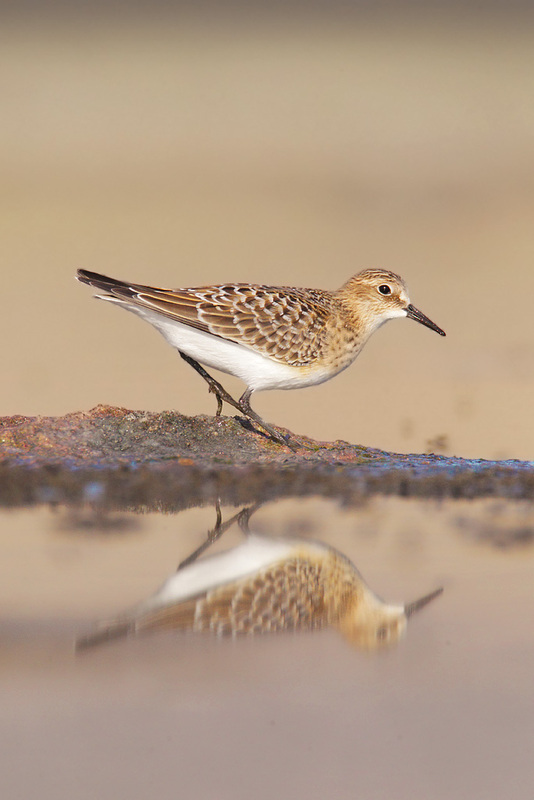 Outstanding images, I like the Least Sandpiper the best, but I don’t know why. Looking forward to your next post what ever it is. Thank you very much Koen for the comments and the ID on those flies.. I was going to try and figure out what they were so much appreciated…. Those are Wilson’s Phalaropes not Yellowlegs and the Least Sandpiper is most likely a Semipalmated. Hello! 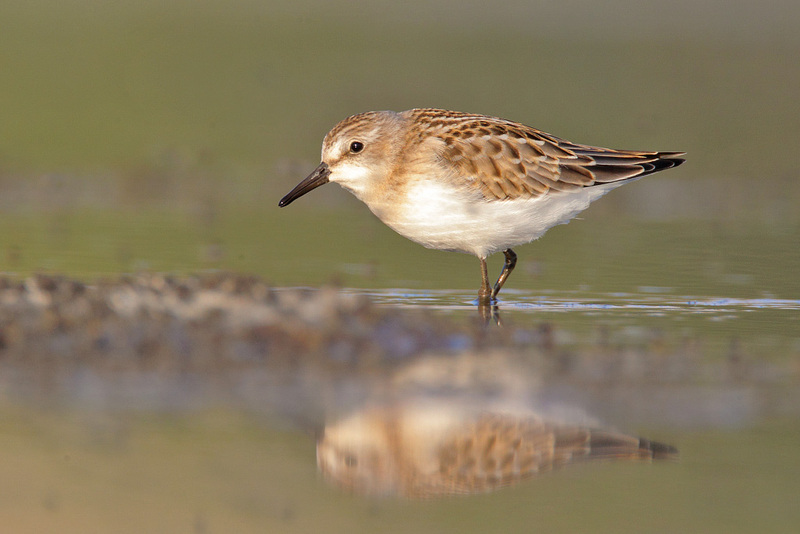 The bird you have labeled as a Least Sandpiper bears an uncanny resemblance to a Little Stint. These are extremely difficult to tell from bright juvenile Semipalmated Sandpipers, however. It is certainly not a Least, as the throat and breast are too white and unstreaked. I’m very keen to circulate these images for others’ opinions, if you don’t mind. I believe it would be a first record for Wyoming if it can be identified as a LIttle Stint. If you have any more shots of this bird and get a chance, I’d love to see them (email me). Thanks, and beautiful work! Lovely pix!!! However, the first pic is of a very fresh juv Semipalmated Sand/Little Stint, while the “pair of Lesser Yellowlegs” are neither a pair, nor yellowlegs, rather are adult (left) and juv Wilson’s Phalaropes. 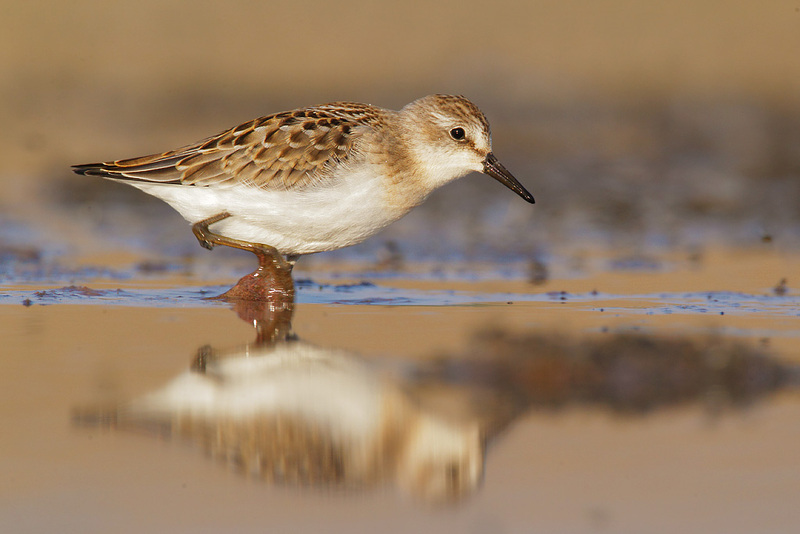 However, the first pic is of a very fresh Semipalmated Sandpiper (Little Stint is probably ruled out, but,,? 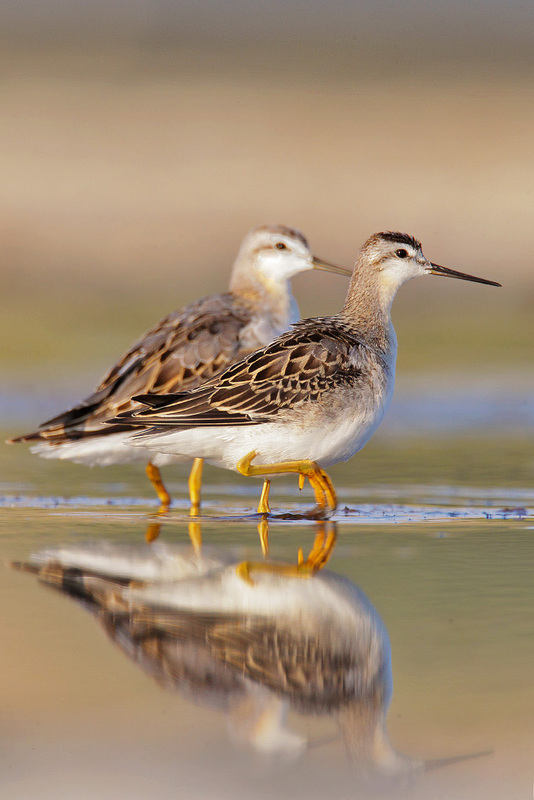 ), while the “pair of Lesser Yellowlegs” are neither a pair nor yellowlegs, rather are adult (left) and juv Wilson’s Phalaropes.